This is a nice opportunity to enjoy some of Key West’s highlights: boardwalk paths, a loop around Fort Zachary Taylor State Park, and some pleasant interior streets. We’ve created a 5.7 mile loop, but it’s easy to modify on your own. A good starting point is Mallory Sq. There are about 0.5 miles of boardwalk-style paths west to the Truman Little White House. Then take lovely Emma St. to Angela St. toward the State Park. 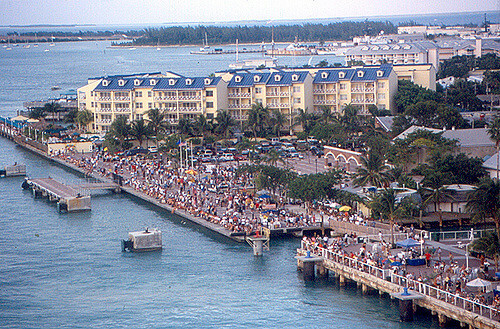 We’ve included a 1 mile out and back along Fort Zachary Cruise Pier. Then, enjoy the 1-2 miles of trails and paths in Fort Zachary Taylor State Park, which has a fort and beach. Head out of the park, and run 0.5 miles along pleasant Southard St., then left on Grinnell St., to the waterfront, where you’ll conclude the run with 0.5 miles along the boardwalk paths around Key West Bight and Front St. Shorter Option: The pier is 0.5 miles each way, so you can save a mile here.